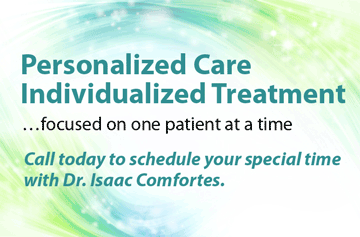 Integrated Dental Medicine - Dr. Isaac Comfortes, D.D.S. At Total Health Dentistry of Encino, Dr. Isaac Comfortes offers evidence-based diagnostics, treatments, referrals, and counseling that support whole body health. “Today we know that total health boils down to inflammation control, and that eliminating inflammation in the periodontal tissues of the mouth is where total health starts. At Total Health Dentistry of Encino, we place focus on the best oral health care to create an ideal biologic environment in which the body can reduce and eliminate inflammation…in other words, can heal.” – Isaac Comfortes, D.D.S. Our bodies work naturally to achieve homeostasis…balance. When inflammatory disease runs rampant, our bodies cannot achieve the healthy balance they seek. The good news is that you support Total Health when you eliminate gum infection, adapt a healthy lifestyle (including healthier dietary habits and exercise), accept optimal evidence-based treatment for diagnosed disease of the mouth, and partner with your physicians to optimally prevent and treat disease throughout your body. A healthy lifestyle and maximum healing are achieved when bad stress is eliminated, your mind is at peace, and your emotional system is in balance. Isaac Comfortes, D.D.S., invites his patients to engage in their own research on this topic and experience for themselves the healing power of healthy choices throughout all aspects of their life. 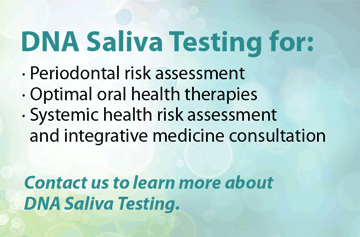 Together, you can explore and achieve treatment to eliminate gum inflammation, create a balanced “bite,” and treat obstructive sleep apnea and bruxism, restore full dental function, and create a confident smile that will transform your life. Dr. Comfortes can tell a lot about you from the status of your teeth and periodontal tissue. If you are under emotional stress, your jaw muscles may be tender, your dental ligaments may be tender, your teeth may show signs of clenching and grinding, and your gum tissue may bleed when probed even if this has not happened before. If your gums are inflamed, he will know that your entire body is fighting inflammation that may trigger or exacerbate systemic disease conditions. Dr. Comfortes invites you to actively participate in oral health solutions that meet your goals for a healthy mouth and body. If oral inflammation is discovered and treated, you also will learn how to maintain fine oral health for the rest of your life. We care greatly about your medical history and your family’s medical history. 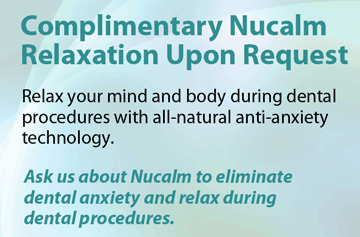 Holistic wellness for you may mean that you need special attention placed on periodontal health care, treatment of obstructive sleep apnea, screening for oral cancer, treatment of dry mouth syndrome, recovery from acid reflux, TMJ/TMD therapy, stress reduction, and more. You may need the counsel and therapy that a medical specialist and nutritionist can provide. Dr. Comfortes collaborates with physicians and nutritionists in the integrated dental-medical treatment of patients who need this. He also provides referrals for patients who would like this. Articles in our Total Health Dentistry Blog will inform you more. To learn more about integrated dental medicine in Encino, California and what value it holds for you, schedule a comprehensive exam or consultation appointment with Dr. Isaac Comfortes. 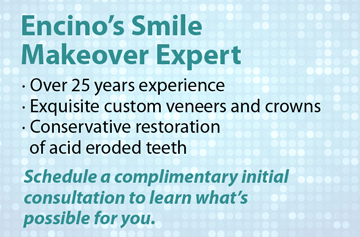 Call (818) 990-9101.